Earn up to 2,748 Points. Introducing the Men’s Brick City Villin Black Tee with the latest styling. 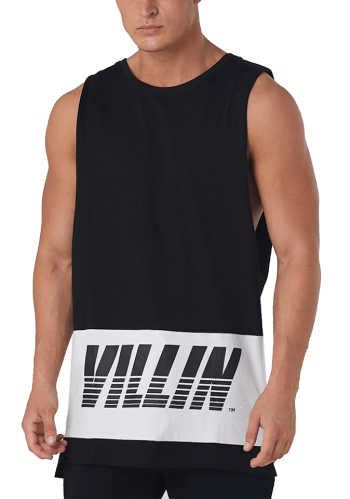 This is a comfortable and fitted Men’s black singlet by Brick City Villin with the logo on the front. If you are looking for a sleeveless tank that is comfortable and looks stylish, then you must grab one of these. This is a Men’s gym singlet that will make a statement and show off your chest muscles and biceps as it should.